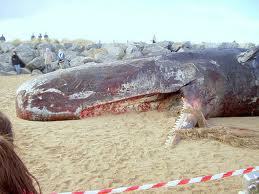 A dead whale on Skegness Beach - 'rotting from the head down' - was something of an attraction prior to the UKIP conference in the town. Now why do we think of Farage's UKIP when we look at this picture? We can confirm the departure of Derek Clark as Regional Chairman of the East Midlands. He stood down at the last regional meeting. However, he jumped before he was pushed! There were increasingly concerns about his incompetence as RC and his lack of interest in supporting branches in the region. The collapse of UKIP membership in the region (now around 800) has also been laid squarely at his door. A motion of 'No Confidence' in Clark had been prepared for the last meeting, a motion that had majority support on the committee. Unfortunately, Clark was tipped off and he resigned in order to prevent the humiliation of being removed. We can also confirm that members of the East Midlands Regional Committee were kept in the dark over Helmer's defection to UKIP. The first they learned about it was when it was leaked by a newspaper. As you can imagine, they are not exactly very happy at being kept in the dark. As one East Midlands UKIPPER has told the Junius Team, "We should have been consulted about this from the very beginning. It's simply not good enough. Obviously, our opinions don't count when it comes to selecting Derek's replacement". “Another conference, another hangover, eh?”. Bloom on the UKIP conference. “If he had been born in Thailand, I am absolutely convinced that he would have been a lady”. Bloom describing Nick Clegg.